Hello and welcome to Baytown Holiday Cottages. Baytown Holiday Cottages was set up in April 2017 by Sian Jones & Sam Asher. We offer an assorted mix of self-catering holiday cottages in Robin Hood’s Bay. Each cottage varies in type, look, feel, facilities and what it offers. Some cottages are modern with all the mod cons you could possibly want, luxurious cushions and throws galore, welcome packs and more. Other cottages are more traditional evoking the feeling of nostalgia of days when the village was indeed called Baytown. Then there’s the cottages in between with their modern twists but still those elements of traditional features. There are cottages that are dog friendly, cottages with log fires and outdoor space, a rarity in Robin Hood’s Bay. Some cottages come with parking albeit at the top of “the Bank” the very steep hill in which Baytown is built on. You will also find cottages offering parking on the private car park in the lower part of the village. On top of that you’ve got the cottages with the all-important sea views and don’t forget the Wi-Fi. Whatever your preference in self-catering accommodation we’re sure we can meet it and more. Looking for a stay-cation or vacation, short stay or long stay? Want a cottage for 1 or a cottage for 10? 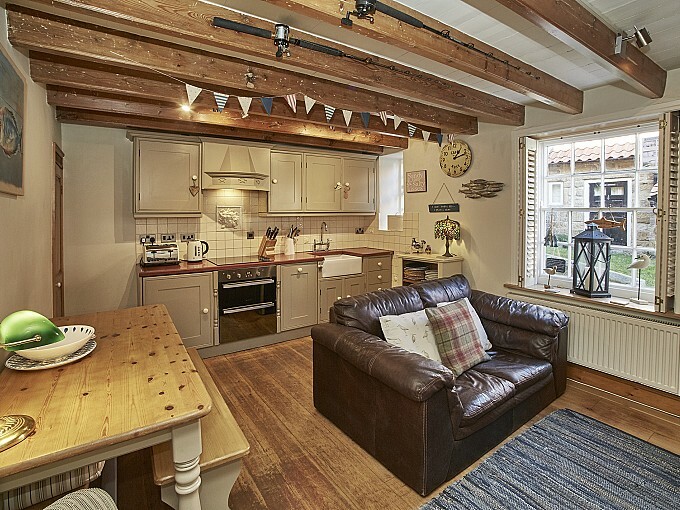 Looking for a quiet cosy retreat or a celebration home? Baytown Holiday Cottages can accommodate you. We both work actively in the village on an almost daily basis and we can honestly say we know the cottages we represent like the back of our hand’s. So, if in doubt or not quite sure which cottage in our range of holiday let’s is quite right for you then don’t hesitate in getting in touch. We are more than happy to talk you through our range of holiday rentals and make the most suitable recommendation for your requirements. You’ve probably guessed that there is indeed just two of us here at Baytown Holiday Cottages. We may be a small booking agency but that is where small ends. We have big ambition, lots of prior experience, a ton of knowledge of the area and an awful lot of love for the job we do and Robin Hood’s Bay too. As well as marketing a range of holiday properties we also support owners through our range of additional services. Robin Hood’s Bay is the jewel in the crown of the Yorkshire Coastline. Baytown sits perfectly in-between the dramatic cliffs from Whitby to Scarborough and is nestled on the edge of the North York Moors National Park. A Baytown Holiday Cottage makes the perfect base from which to explore coast and moorland. A relaxing coastal escape can take many forms and we’re sure Robin Hood’s Bay and the North York Moors National Park has what it is that you desire. Whether you crave an adrenalin rush, shear excitement a massage or the perfect serve of Gin we’re sure there’s the perfect experience, venue or place to make your break away wishes come true. 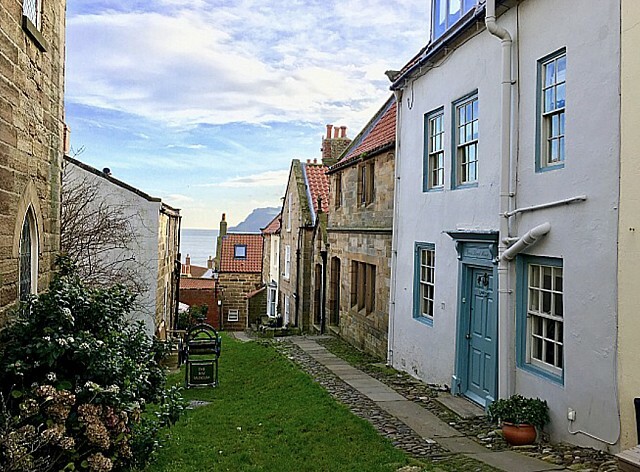 An old fishing village with quaint cobbled streets and alleyways, houses where it’s impossible to know where they start or end and red slated roof tops with chimney pots make Robin Hood’s Bay magical. Steeped in history Baytown was rife with the smuggling of contraband and it’s believed that rum, tea, tobacco, silk and more could make its way from the bottom of the village to the top without ever seeing daylight. With bustling towns, small old fishing ports, countryside villages, peaceful moorland and a dramatic coastline there’s so much to discover and experience here. Whether you love cycling, casual strolls or hiking, horse riding, wildlife spotting, have a love for local food, delicacies and produce you can satisfy that love here. If your need is for nostalgia, local history and heritage, your very own Jurassic discovery, massages or treatments, mindfulness or just being kind to yourself, family or friends then look no further. Its all here. Local highlights include the North Yorkshire Moors Railway, wonderful woodland’s and forests such as Dalby Forest where thrills and adventure await you, Sneaton Forest and Falling Foss Waterfall and Mulgrave Wood’s with its old castle ruins to name just a few. 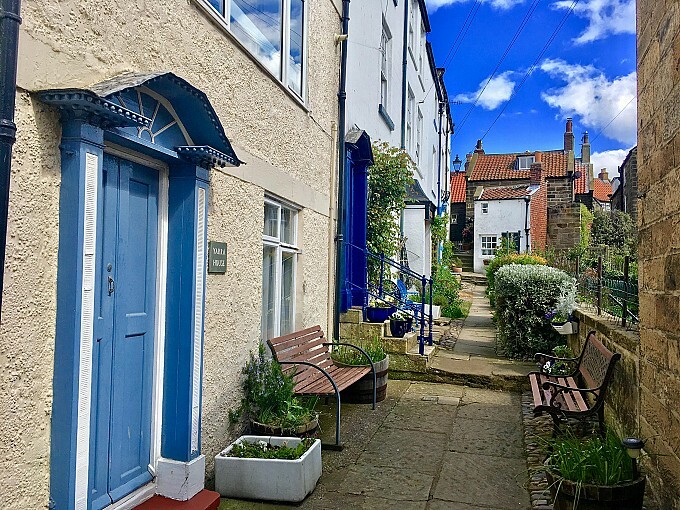 Each cottage in Robin Hood’s Bay has the Cleveland Way and the North East section of the England Coast Path virtually on its very doorstep. Nearby is the Cinder Track once the old railway line from Whitby to Scarborough. The trail passes through many local villages. Baytown is also the end point of Alfred Wainwrights world famous Coast to Coast Walk, don’t forget to dip your toes in the sea. So, what are you waiting for? Book your stay today and discover all this and more! Quiz at The Victoria Hotel, Robin Hood’s Bay. 9.30pm start. Quiz at The Hare and Hounds in Hawsker. 9.30pm start. Live Music at The Grosvenor, Robin Hood’s Bay. 9.00pm start. Quiz at The Laurel Inn, Robin Hood’s Bay. 9.30pm start. Midday Cannon at The Victoria Hotel, Robin Hood’s Bay. Midday. Quiz at Ye Dolphin, Robin Hood’s Bay. 9.00pm start. All Event's can be subject to change so do check with the establishment particularly if you are travelling to Robin Hood's Bay and the local area especially. The Whole of the North York Moors National Park is accessible form Robin Hood's Bay. 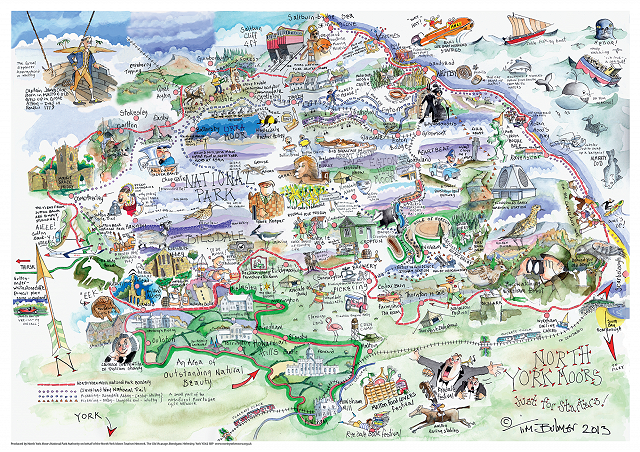 Why not take a closer look at Tim Bulmer's illustrated map for inspiration on days out across our National Park. 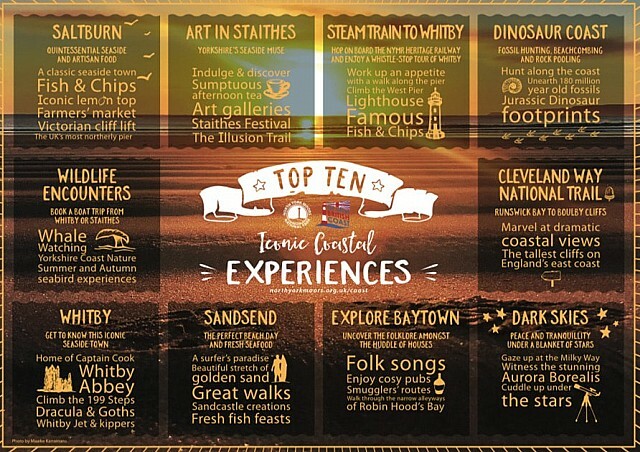 The Top Ten Iconic Coastal Experiences. We’re 2! 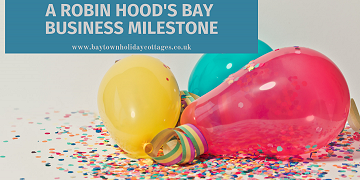 That’s right Baytown Holiday Cottages and Baytown Cleaning & Management have just hit their 2nd Birthday milestone and we couldn’t be more ecstatic, happier or prouder! You can’t visit the beach and not make a sandcastle no matter what time of year it is and especially if you are small. 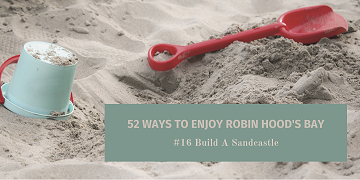 Although, you are never to old to make a sandcastle. Be the first to hear about new properties and special offers.